A study conducted by researchers at Massachusetts Institute of Technology (MIT) on a group of pre-school students in Delhi revealed that math games help students to understand and retain numbers and mathematical concepts even a year later however, the result does not hold true for a longer period of time. 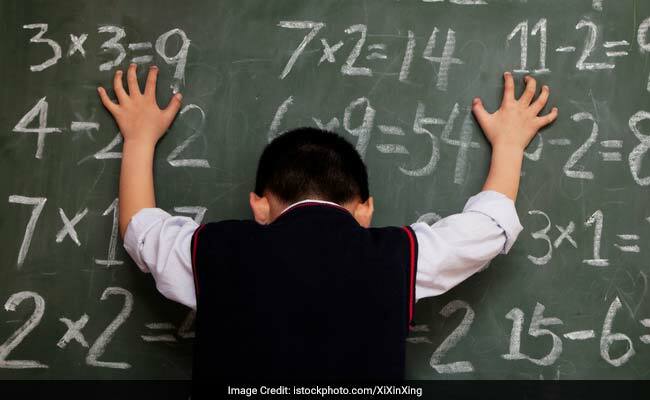 New Delhi: A study conducted by researchers at Massachusetts Institute of Technology (MIT) on a group of pre-school students in Delhi revealed that math games help students to understand and retain numbers and mathematical concepts even a year later however, the result does not hold true for a longer period of time. The result bear strikingly for problems faced by children from poverty-stricken communities who face difficulty in grasping concepts especially in Mathematics when enrolled in a formal set up. The study was co-authored by researchers at MIT, Harvard University, and New York University. In the study which was conducted in Delhi, pre-school children were engaged in Math games which were designed to help them grasp concepts of number and geometry and Social games which were designed to help them co-operate and learn together. The researchers found that students who engaged in maths games showed significant improvement in their math skills. These children also showed a better chance of retaining those concepts a year later. However, by the time these children were learning formal math concepts such as specific number symbols in primary school, the preschool intervention did not affect learning outcomes. The results of the study are significant for students enrolled in Indian schools. The RTE Act of 2009, makes education free and compulsory for children in the age group of six to fourteen. While this makes education accessible, these children often go to school with a learning deficit. We spoke to Mr. Prem Prakash, whose NGO Sarvahitey works with slum children. The children, who attend classes conducted by the NGO volunteers, fall in the range of four to sixteen. He said, "When we started teaching them, they couldn't even identity numbers, whereas some kids of that age group could do addition, subtraction, and multiplication." Talking about interactive learning methods and teaching through games, he said, "We have started activity based teaching at few centers and it has helped. Kids were able to understand better and quicker." The long-term outcome is yet to be seen. The researchers analyzed the results of the study on why the intervention did not produce similar results when students entered a formal set up. Duflo, who is a co-founder of MIT's Abdul Latif Jameel Poverty Action Lab (J-PAL), which conducts field experiments in education, around the globe, says one possibility could be that the rote learning method for Mathematics in Primary Schools in Delhi does not align with the interactive games taught to the children.